In ancient Roman culture, felicitas is a condition of divinely inspired productivity, blessedness, or happiness. Felicitas could encompass both a woman’s fertility, and a general’s luck or good fortune. The divine personification of Felicitas was cultivated as a goddess. 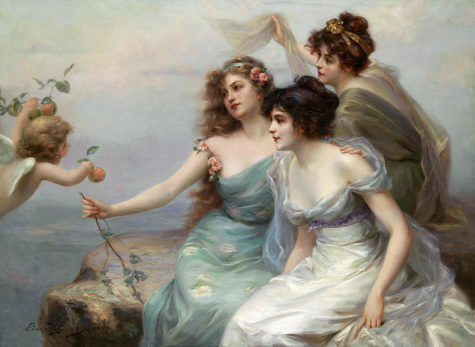 Although felicitas may be translated as “good luck,” and the goddess Felicitas shares some characteristics and attributes with Fortuna, the two were distinguished in Roman religion. Fortuna was unpredictable and her effects could be negative, as the existence of an altar to Mala Fortuna (“Bad Luck”) acknowledges. Felicitas, however, always had a positive significance. 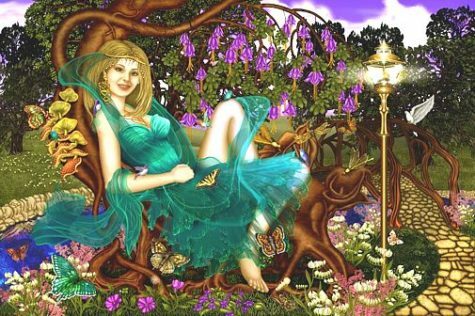 Felicitas had a temple in Rome as early as the mid-2nd century BC, and during the Republican era was honored at two official festivals of Roman state religion, on July 1 in conjunction with Juno and October 9 as Fausta Felicitas. Felicitas continued to play an important role in Imperial cult, and was frequently portrayed on coins as a symbol of the wealth and prosperity of the Roman Empire. Her primary attributes are the caduceus and cornucopia. The English word “felicity” derives from felicitas. On July 1 and October 9, Felicitas received a sacrifice in Capitolio, on the Capitoline Hill, on the latter date as Fausta Felicitas in conjunction with the Genius Publicus and Venus Victrix. These observances probably took place at an altar or small shrine, not a separate temple precinct. The Acts of the Arval Brothers (1st century AD) prescribe a cow as the sacrifice for Felicitas. Pompey established a shrine for Felicitas at his new theater and temple complex, which used the steps to the Temple of Venus Victrix as seating. Felicitas was cultivated with Honor and Virtue, and she may have shared her shrine there with Victory, as she did in the Imperial era as Felicitas Caesaris (Caesar’s Felicitas) at Ameria. Her festival day gives us an opportunity to shower anyone and everyone with cheerful trinkets, kind acts, and gentle words to lift people’s spirits. By looking for Felicitas for help, we can bring joy to people who might otherwise be feeling a case of autumn blues. Look for, or make, some humorous greeting cards to send to folks you know would appreciate the thought. Lay your hands on them and invoke Felicitas’s blessings in any way that feels right. 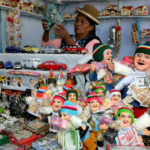 Santa Claus may have gone back to the North Pole to rest, but it doesn’t mean the gift-giving (and receiving) is over — at least not for the thousands of children in Latin America and Spain anxiously awaiting“El Día de los Reyes” Celebration on Jan. 6th. Children leave their shoes right outside their doors so the Three Kings will leave their gifts inside, the bigger presents are placed around them. Many families leave a box of grass (or hay) and water for The Three King’s camels to eat. Similar to the tradition of leaving out cookies and milk for Santa Claus. Camels are known for being a bit sloppy and leaving a trail of hay behind that children can often follow to their gifts! Hispanic families will usually celebrate Three Kings Day with a scrumptious dinner that is topped off with the King’s Bread (Rosca de Reyes) for dessert. Children also sometimes make crowns to wear at the table in honor of the kings. 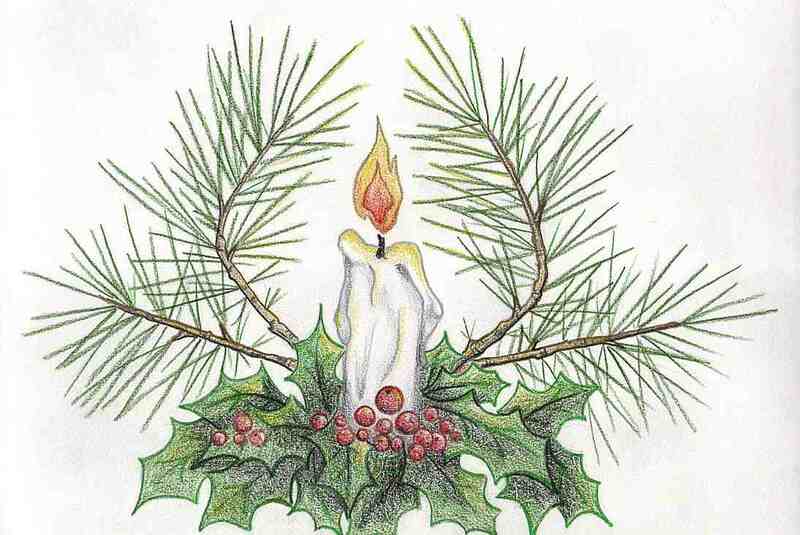 For many Christians, the holiday season doesn’t officially end until the 12th day of Christmas known as the “Feast of the Epiphany” or “Three Kings’ Day”. The holiday marks the biblical adoration of baby Jesus by the three Kings, also referred to as three Wise Men or Magi. According to the Gospel of Matthew, the men found the divine child by following a star across the desert for twelve days to Bethlehem. 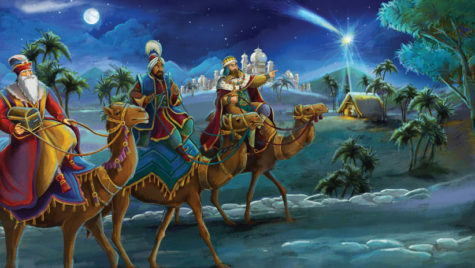 Melchior, Caspar, and Balthazar — representing Europe, Arabia, and Africa respectively — traveled by horse, camel, and elephant in order to present baby Jesus with three symbolic gifts. 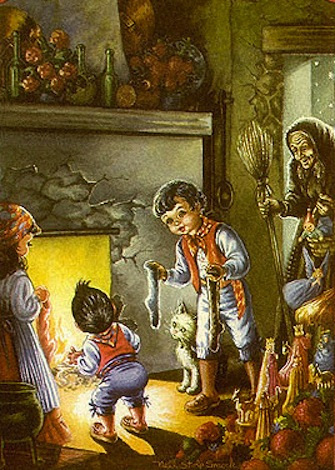 In popular folklore Befana visits all the children of Italy on the eve of the Feast of the Epiphany to fill their socks with candy and presents if they are good, or a lump of coal or dark candy if they are bad. In many poorer parts of Italy and in particular rural Sicily, a stick in a stocking was placed instead of coal. Being a good housekeeper, many say she will sweep the floor before she leaves. To some the sweeping meant the sweeping away of the problems of the year. The child’s family typically leaves a small glass of wine and a plate with a few morsels of food, often regional or local, for the Befana. Befana is invoked in many Italian spells, especially those for good fortune. She brings sweets for children but may be persuaded to bring the sweetness of life to adults as well. On Epiphany Eve, write her a note expressing your desires. Place it beneath a red witch-shaped candle and burn. She is usually portrayed as a hag riding a broomstick through the air wearing a black shawl and is covered in soot because she enters the children’s houses through the chimney. She is often smiling and carries a bag or hamper filled with candy, gifts, or both. Popular tradition tells that if one sees La Befana one will receive a thump from her broomstick, as she doesn’t wish to be seen. This aspect of the tradition may be designed to keep children in their beds. Shichi Fukujin is usually translated as “Seven Spirits of Good Fortune,” but literally means “Seven Happiness Beings.” Six are male and one is female (Benten). Each is an important, powerful spirit. They hail from different traditions. Unlike the comparable Seven African Powers, they do not all derive from the same spiritual base. Some are Shinto, some Buddhist; Hotei originally derives from Chinese Taoist traditions, but wherever they came from, all are now significant to Japanese folk religion. Each of the Shichi Fukujin is venerated independently. Some are also venerated in smaller groupings. (Daikoku and Ebisu are frequently paired.) 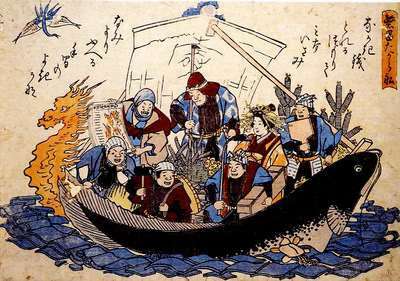 They are most frequently depicted all together sailing in their treasure ship, the Takarabune. The Seven Spirits provide blessings of health, h appiness, protection, and longevity and everything that is good and desirable in life. If invoked together they are able to provide all blessings. The seven sail into our realm during New Year’s festivities to distribute gifts to the worthy. Place an image of the treasure ship complete with all Shichi Fukujin under your pillow on New Year’s Eve to receive a lucky dream. Their imagery is ubiquitous in Japan, extending even as far as on children’s undewear. Next time you’re in a Japanese restaurant, look around: it’s likely that you’ll find the Shichi Fukujin in residence. Envision yourself cruising along with them, and beseech their blessings. Shichi Fukujin sushi is a beautiful roll containing seven smaller rolls. Iconography: Many prints and sculptures depict the seven sailing on their treasure ship on the Sea of Good Fortune. Individual alter images are also available. Sacred sites: A pilbramage route in Kamakura, Japan, involves visiting seven shrines, each associated with one of the Shichi Fukujin. This holiday, celebrated on Dec 26, derives from the Old English custom of giving Christmas “boxes” to tradesmen, postmen, and servants. The original boxes were usually made of earthenware and contained money, which could be retrieved only by breaking the boxes open. 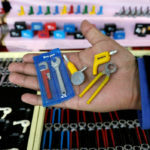 These days, a gift of money is usually contained in a greeting card and given before the holiday. 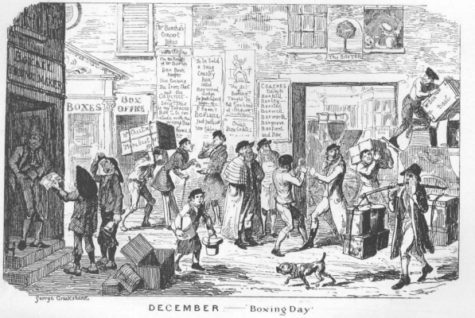 Where celebrated (Great Britain, Canada, and Australia), Boxing Day is welcomed as a quiet day of recuperation from the season’s hectic festivities. It is also the biggest day of the year for soccer playoffs. Honoring the dead occurs in ancient cultures all over the world, and even in modern times it plays an important role in religions. It is founded on the belief that the dead live on and are able to influence the lives of later generations. These ancestors can assert their powers by blessing or cursing, and their worship is inspired by both respect and fear. Rituals consist of praying, presenting gifts, and making offerings. In some cultures, people try to get their ancestors’ advice through oracles before making important decisions. The dead are believed by the peasantry of many Catholic countries to return to their former homes on All Souls’ Night and partake of the food of the living. In Tyrol, cakes are left for them on the table and the room kept warm for their comfort. In Brittany, people flock to the cemeteries at nightfall to kneel, bareheaded, at the graves of their loved ones, and to anoint the hollow of the tombstone with holy water or to pour libations of milk on it. At bedtime, the supper is left on the table for the souls. 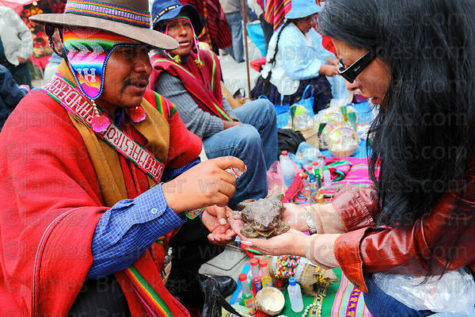 In Bolivia, many people believe that the dead eat the food that is left out for them. Some claim that the food is gone or partially consumed in the morning. The Day of the Dead celebrations in Mexico and other countries can be traced back to the indigenous peoples such as the Olmec, Zapotec, Mixtec, Mexican, Aztec, Maya, P’urhépecha, and Totonac. Rituals celebrating the deaths of ancestors have been observed by these civilizations perhaps for as long as 2500–3000 years. In the pre-Hispanic era, it was common to keep skulls as trophies and display them during the rituals to symbolize death and rebirth. The festival that became the modern Day of the Dead fell in the ninth month of the Aztec calendar, about the beginning of August, and was celebrated for an entire month. The festivities were dedicated to the goddess Mictecacihuatl, known as the “Lady of the Dead,” corresponding to the modern Catrina. In most regions of Mexico, November 1st honors deceased children and infants where as deceased adults are honored on November 2nd. This is indicated by generally referring to November 1st mainly as “Día de los Inocentes” (Day of the Innocents) but also as “Día de los Angelitos” (Day of the Little Angels) and November 2nd as “Día de los Muertos” or “Día de los Difuntos” (Day of the Dead). Plans for the festival are made throughout the year, including gathering the goods to be offered to the dead. 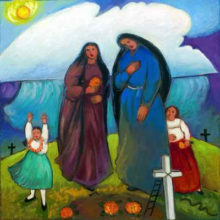 During the period of November 1 and November 2, families usually clean and decorate graves; most visit the cemeteries where their loved ones are buried and decorate their graves with ofrendas, or offerings, which often include orange marigolds called “cempasúchitl.” In modern Mexico this name is often replaced with the term “Flor de Muerto” (“Flower of the Dead”). These flowers are thought to attract souls of the dead to the offerings. 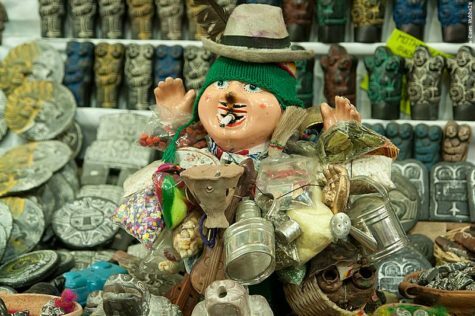 Toys are brought for dead children (los angelitos, or little angels), and bottles of tequila, mezcal, pulque or atole for adults. 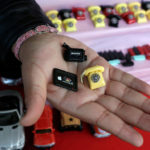 Families will also offer trinkets or the deceased’s favorite candies on the grave. Ofrendas are also put in homes, usually with foods such as candied pumpkin, pan de muerto (“bread of the dead”) or sugar skulls and beverages such as atole. The ofrendas are left out in the homes as a welcoming gesture for the deceased. Some people believe the spirits of the dead eat the “spiritual essence” of the ofrenda food, so even though the celebrators eat the food after the festivities, they believe it lacks nutritional value. Pillows and blankets are left out so that the deceased can rest after their long journey. In some parts of Mexico, such as the towns of Mixquic, Pátzcuaro and Janitzio, people spend all night beside the graves of their relatives. Some families build altars or small shrines in their homes. These altars usually have the Christian cross, statues or pictures of the Blessed Virgin Mary, pictures of deceased relatives and other persons, and scores of candles. Traditionally, families spend some time around the altar praying and telling anecdotes about the deceased. In some locations, celebrants wear shells on their clothing so when they dance the dead will wake up because of the noise. Some will dress up as the deceased. Those with writing talent sometimes create short poems, called “calaveras” (“skulls”), mocking epitaphs of friends, sometimes describing interesting habits and attitudes or some funny anecdotes. This custom originated in the 18th-19th century, after a newspaper published a poem narrating a dream of a cemetery in the future, “and all of us were dead”, proceeding to “read” the tombstones. Newspapers dedicate calaveras to public figures, with cartoons of skeletons in the style of José Guadalupe Posada, a Mexican illustrator. Theatrical presentations of Don Juan Tenorio by José Zorrilla (1817–1893) are also traditional on this day. Island Pacanda, Lake Patzcuaro Mexico – Dia de los MuertosA common symbol of the holiday is the skull (colloquially called calavera), which celebrants represent in masks, called calacas (colloquial term for “skeleton”), and foods such as sugar skulls, which are inscribed with the name of the recipient on the forehead. Sugar skulls are gifts that can be given to both the living and the dead. Other holiday foods include pan de muerto, a sweet egg bread made in various shapes, from plain rounds to skulls and rabbits often decorated with white frosting to look like twisted bones. José Guadalupe Posada created a famous print of a figure that he called “La Calavera de la Catrina” (“calavera of the female dandy”), as a parody of a Mexican upper class female. Posada’s striking image of a costumed female with a skeleton face has become associated with the Day of the Dead, and Catrina figures often are a prominent part of modern Day of the Dead observances. The traditions and activities that take place in celebration of the Day of the Dead are not universal and often vary from town to town. For example, in the town of Pátzcuaro on the Lago de Pátzcuaro in Michoacán the tradition is very different if the deceased is a child rather than an adult. On November 1 of the year after a child’s death, the godparents set a table in the parents’ home with sweets, fruits, pan de muerto, a cross, a Rosary (used to ask the Virgin Mary to pray for them) and candles. This is meant to celebrate the child’s life, in respect and appreciation for the parents. There is also dancing with colorful costumes, often with skull-shaped masks and devil masks in the plaza or garden of the town. At midnight on November 2, the people light candles and ride winged boats called mariposas (Spanish for “butterfly”) to Janitzio, an island in the middle of the lake where there is a cemetery, to honor and celebrate the lives of the dead there. In contrast, the town of Ocotepec, north of Cuernavaca in the State of Morelos opens its doors to visitors in exchange for ‘veladoras‘ (small wax candles) to show respect for the recently dead. In return, the visitors receive tamales and ‘atole‘. This is only done by the owners of the house where somebody in the household has died in the previous year. 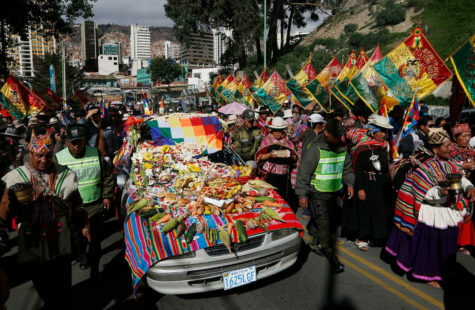 Many people of the surrounding areas arrive early to eat for free and enjoy the elaborate altars set up to receive the visitors from ‘Mictlán‘. 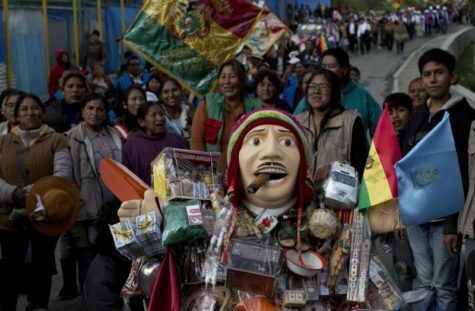 In some parts of the country, children in costumes roam the streets, asking passersby for a calaverita, a small gift of money; they don’t knock on people’s doors. Some people believe that possessing “dia de los muertos” items can bring good luck. 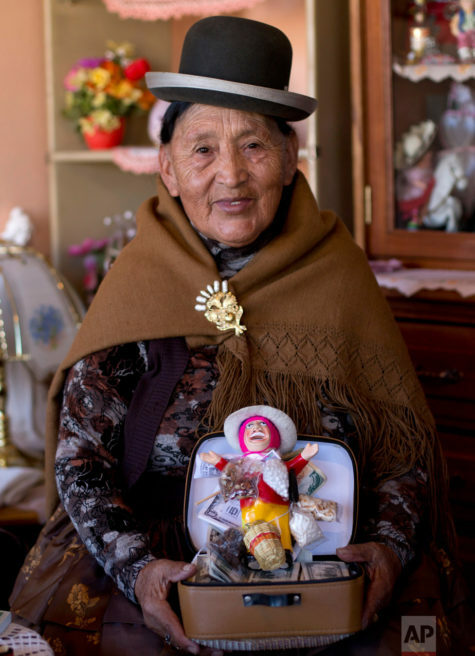 Many people get tattoos or have dolls of the dead to carry with them. They also clean their houses and prepare the favorite dishes of their deceased loved ones to place upon an altar. The celebrations on the eve of All Souls Day, called Halloween, (October 31), stem from the Celtic New Year celebration called Samhain. When the Sun goes down on this eve, there is a time between the old year and the creation of the new. Specifically, this occurs at sunrise. In this twilight of the years, the veil between this world and the world of the spirit is thin. It is a time when ghosts and spirits can interact with the living, and a time when divination is most effective. This is a sacred time when all warriors were to keep their swords sheathed. Samhain literally means “end of the summer.” This day marked the last harvest of the summer, and so it is a harvest celebration. But, because there were only three months in the ancient Celtic calendar, and no autumn, it is also the beginning of the winter death that will lead to next year’s regeneration. Ancient Celts believed that at Samhain, the veil between the worlds of the living and the dead was extremely thin, allowing the dead to cross over into the world of the living. Sometimes they appeared as apparitions and sometimes in the form of animals, most particularly black cats. The living lit bonfires and dressed in costumes to confuse the spirits and keep them from re-entering the world. On this night, the lord of death reigns, and the Celts protect themselves from this threat with bonfires and animal sacrifice. Animal sacrifice is closely associated with divination. In most ancient cultures, the remains of the sacrificed animal were examined to discover the will of the gods and to predict the future. The Druid priests would take advantage of this auspicious time to look into the events of the upcoming year—at least up until Beltane, which marked the year’s midpoint. Although predicting the future is not necessarily the best use of the tarot, this is a good time to try reading the future. You can do this by laying out three cards for each of the six months from Samhain to Beltane (you should have eighteen total cards). Read each set of three cards as a story that will pertain to that month. During the period of Samhain, the time when the world of the living is closest to the world of the dead, it is often a good idea to make offerings to the spirits to keep them from doing harm. Traditionally on Halloween night, gifts of milk and barley are left out beneath the stars to acquire the blessings of ghosts and prevent them from harming your household. Other traditions involve leaving a plate of food outside the home of the souls of the dead. 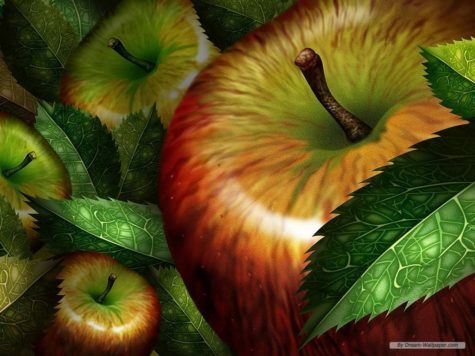 A candle placed in the window guides them to the lands of eternal summer, and burying apples in the hard-packed earth “feeds” the passed ones on their journey. For food, beets, turnips, apples, corn, nuts, gingerbread, cider, mulled wines and pumpkin dishes are appropriate, as are meat dishes. 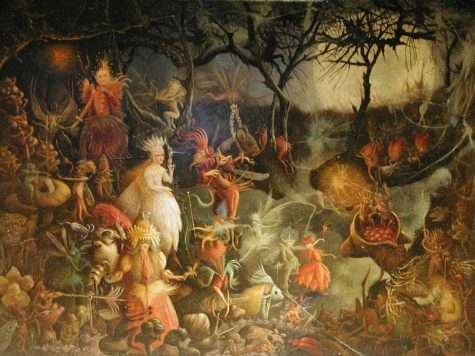 It’s also told that the Fairy Folk became very active during Samhain, pulling pranks on unsuspecting humans. People use to dress in white (like ghosts), wear disguises made of straw, or dress as the opposite gender in order to fool the spirits and traveling after dark was was not advised. The holiday’s bonfires and glowing turnips (yes, turnips) helped the dead on their journey while protecting the living. Magick is in the air, and it’s important to just let things happen. Keep good fun thoughts in your mind, with hope for the future. These positive thoughts will turn into Magick energy and be released… that is the power of Samhain! Honoring the dead is one of the best ways to create Magick on Samhain. How do you honor the dead? By remembering them. Think of all the people that have passed on in your life, and don’t let their memories fade. Spend some time looking through old photographs. Think deeply about what they were like in life, what did they do… what did they feel? Tell them you miss them. Tell them you love them. Talk about them to friends and family. 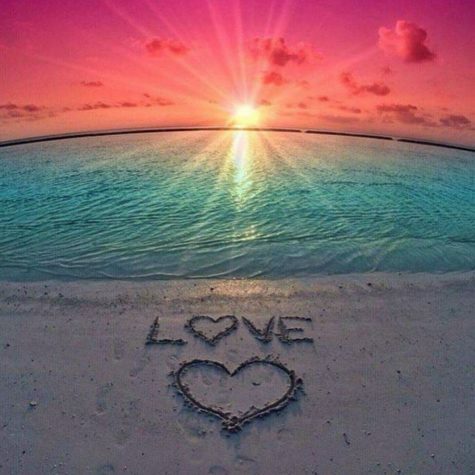 Pick a person (alive or passed away) that has qualities you admire… maybe someone you love and care about that isn’t with you. Have dinner as usual, but leave an empty plate for them and “pretend” they are there. You can either talk to them…ask them how they are doing. Or you can have dinner in complete silence, and think about them deeply. Treat your “guest” with a delicious meal, some good wine, and a tasty dessert. The person you are honoring will feel the energy, and you’ll boost your emotional and Magick sources. Pumpkin carving is a pagan pastime. It actually has it’s roots in the belief that carving faces into turnips would keep evil away. Pumpkins work just as well and are easier to carve. Yes, it’s fun, and it will also keep any bad luck and negative energy away. This is the BEST time of the year for seeing what is to come…and don’t let it pass by without doing at least one divination ritual. You could do Tarot, Runes, Scrying, Pendulum divination, Tea Reading, and any other divination techniques that resonate with you. It’s best to do your divinations AFTER the feast because that’s when the energy is at it’s peak. Note: Information collected from Robert Place, Rose Ariadne, and various other sources.